Are you about to hire a tiler or tile your home yourself?James speaks with probably the most passionate tiler, Ken from Hud's Tiling Services based in the Essex. We speak all about tiling and why it's important to hire the right person and tile with the right materials. Ken clearly loves his job and we hear about some of the jobs that he has been on and been called on to, to rectify poorly done work. Finally Ken gives his tips on hiring the right person to tile your home. We love pumping out new content every week to help homeowners across the world discovery more about the industry which in turn save them money and time on their project and we love speaking up for the great trades and professional in the industry that do a great job every day! 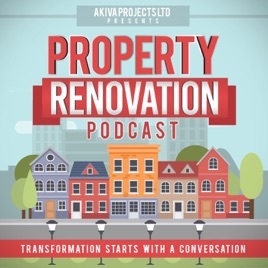 Are you are homeowner who wants to feature on the podcast?